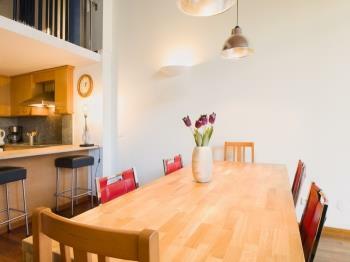 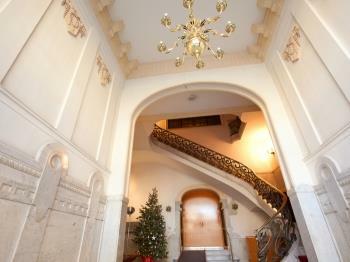 A spacious and comfortable duplex apartment for up to six guests. 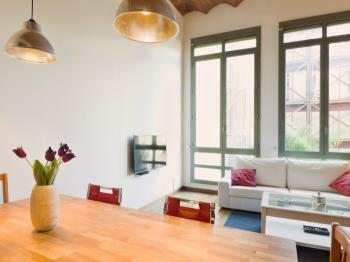 Located on the magnificent Passeig de Gracia, just in the city centre and at a 5 minutes walk from the bustling Las Ramblas. 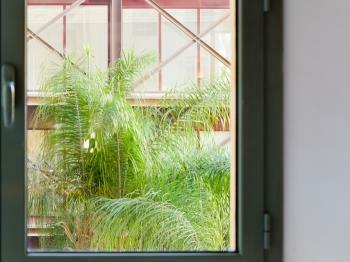 The Apple Store and Adidas Barcelona are your neighbours! 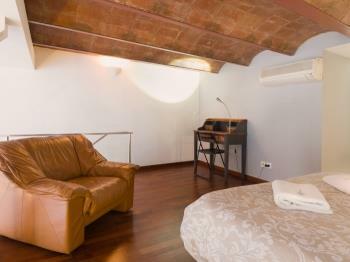 If you want space, comfort and style on your visit to Barcelona, then this is the place for you. 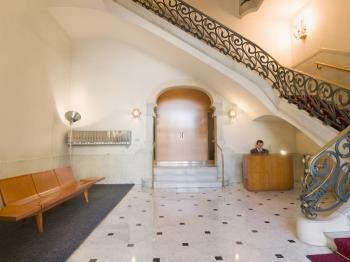 Located on one of the most beautiful streets in the city, it is ideal for a travelling group of friends or a family. 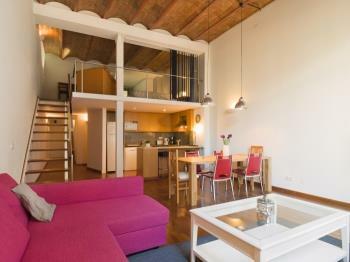 The apartment has many eye-catching features such as a gorgeous hard wood floor, a high vaulted Catalan ceiling, contemporary artwork and plenty of natural light. 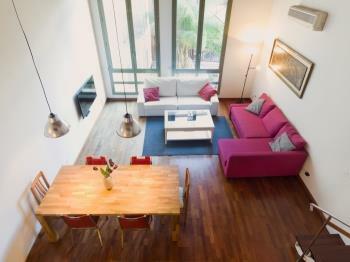 The living room is long and roomy, minimalistic and contains a comfortable double sofa-bed and another large sofa, a coffee table, a new 48"- 4K Smart TV with internet and satelite conexion and also a new, large wooden dining table with seating for six guests. 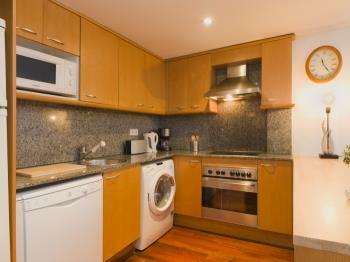 The kitchen with a high counter dividing it from the living area comes complete with an oven, a microwave, a hob and everything else required to create a delicious meal. 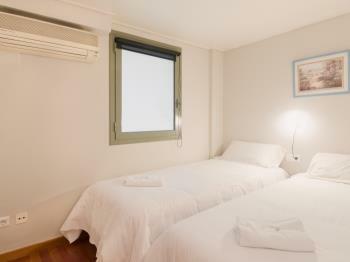 There are two bedrooms, one of them is on the first floor with a double bed and the second one on the lower floor with 2 single beds. 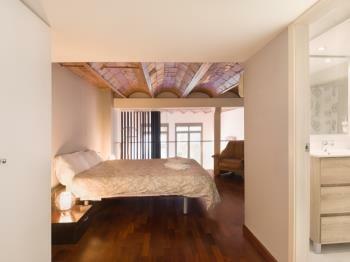 Both have chic lighting and plenty of closet space. 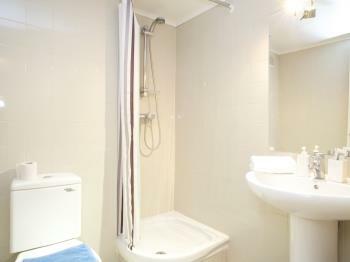 The two bathrooms are fitted out with toilet and shower. 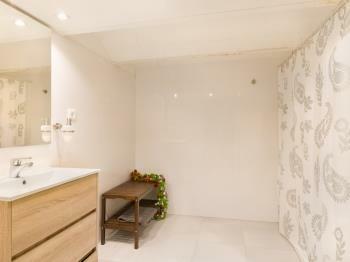 For your comfort there is a washing machine, an iron and board, a hairdryer, fresh linen and towels, air-conditioning and a hi-speed Internet connection. 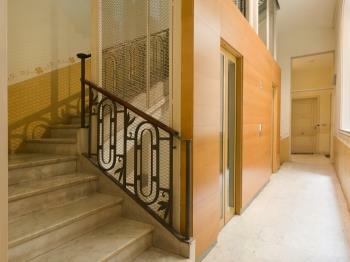 The apartment is wheelchair friendly and the building has two large elevators. 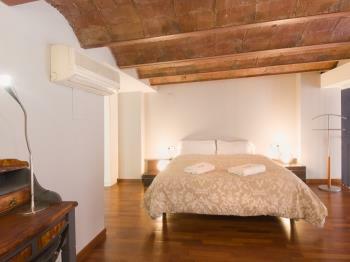 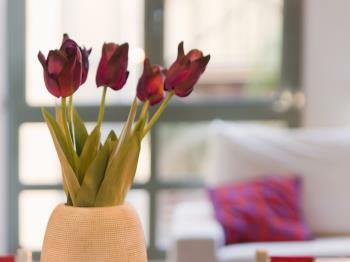 For sheer quality and location, this is the place for you in Barcelona. 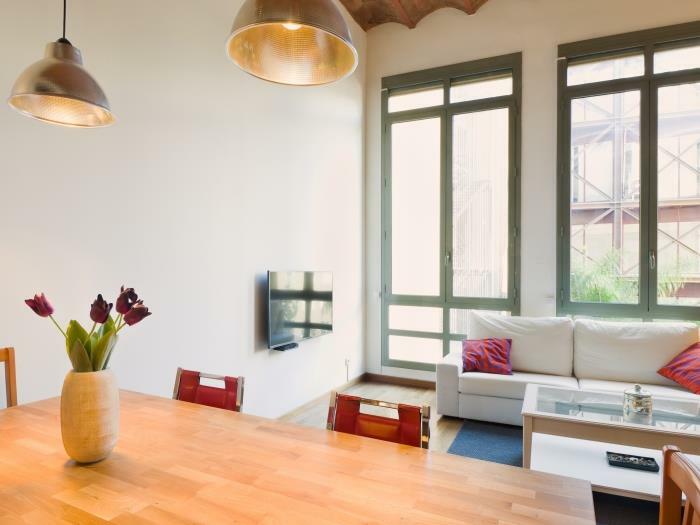 Located in a building between The Apple Store and Adidas Barcelona, this apartment is situated on the stunning Paseo de Gracia, the finest shopping avenue of Barcelona and the centre of Modernist architecture. 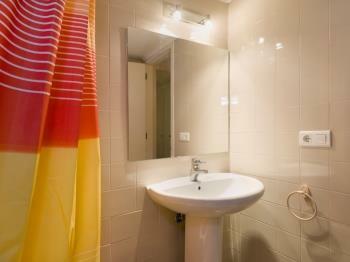 Just two minutes away from Plaza Cataluña and 3 minutes from the famous Ramblas. 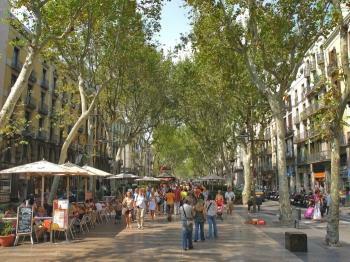 The Passeig de Gràcia, which starts at Plaça Catalunya, is the most elegant avenue of Barcelona, where almost every great designer has its own store, such as Gucci, Armani, Hugo Boss, etc. 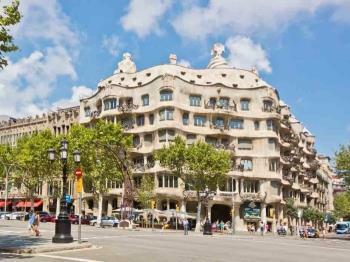 Furthermore, the street houses some of Antoni Gaudí´s masterpieces, like La Pedrera (also known as Casa Milà) and Casa Battló. 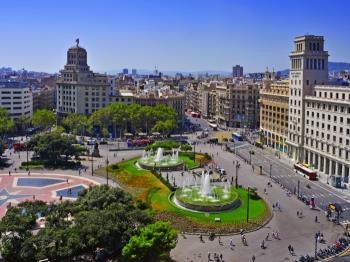 The Eixample, sometimes also referred to as the Gold Square (Cuadrado de Oro) contains the greatest amount of modernist buildings of the city of Barcelona. 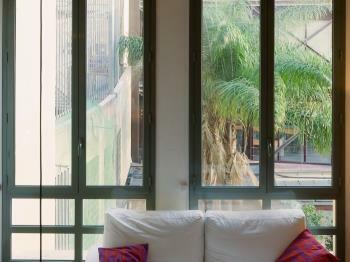 The Eixample district is divided in two, the Eixample Dreta (right side – containing Gaudí´s renowned Sagrada Família and la Pedrera) and Eixample Esquerra (left side – connecting the Eixample area with the Sants-district), taking the Passeig de Gracia as the border line between the two areas. 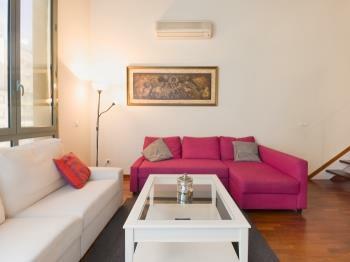 From the airport take the 'Aerobus' and it stops in Plaza Catalunya just 100 meters from the apartment. 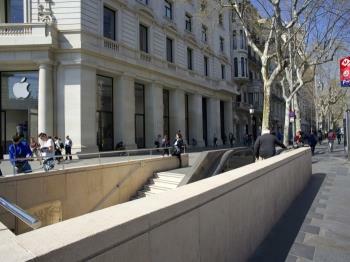 From Sants Estació take the train and just 1 stop you reach Plaza Catalunya. 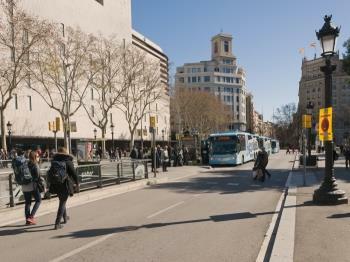 Below the Plaza Catalunya, 100 meters from the apartment also, you will find numerous metrolines that will take you to any part of the city!